It was a quiet, foggy night in Cape Wrath. A cigar, a stout, my newspaper and classical music on the wireless. A fine ending to a busy day. At one point I happened to look out my window and through the fog I could see a light on the water. This is not unusual as I live right on the route of the Caledon National Ferry line. But this light did not look like that of the ferry. It was fast approaching as well, a speed the ferry might be capable of but which it would not have reason to achieve. I stepped toward the window for a closer look just as the vessel came close to the house and saw this was no ferry boat. This was a battleship! “Ahoy, Mr. Whitfield!” a voice called from the ship. the Imperial Navy of Caledon. Was this a training mission for his crew or was he following up on some report? He was headed north toward Winterfell, I had to quickly get ‘some’ information before he passed out of earshot “Any trouble tonight?” I hollered. “Routine patrol,” he hollered back. I watched him go. He continued to head north past the big rock island, not following the coast of Cape Wrath, headed into the night, toward Winterfell. Routine patrol, crossing international waters? Yes, Caledon and Winterfell are partners in the Realm of the Roses but still… We have our own navy. I am the Winterfell Ambassador, if this is routine I would know about it. Wouldn’t I? And I have been reporting about Caledon’s preparations for war all this time. How come none of my sources have told me about this? Whatever ‘this’ is? It is suspicious. No, wait, it’s not! The Commodore did give ‘ahoy’ as he was passing the house, just from seeing the light on. He certainly was not trying to slip by unnoticed. What is going on here? I must contact the Seneschelf in the morning but I must alert our navy immediately. I dashed off an informal report of the battleship’s passing and hurried into town to the Winterfell Embassy to send the report by messenger on the next ferry. As I walked toward town – I hadn’t even left my own neighborhood yet – you wouldn’t believe who I bumped into! “Ambassador Whitfield, what a pleasure! Such a lovely night to be out for a walk, don’t you think? !” said the Guv’nah of Caledon. “Well, the fog is quite thick sir,” I replied. “Indeed! A night for mystery and secrets,” he said with a laugh. “Haha! Oh not to worry, Danko. Just peaceful activities of a close ally,” he reassured me. He was being serious now and had just been joking about the mystery and secrets. Just a joke about the foggy night. I think. Still, after I said my goodbyes to the Guv’nah, I continued on to the embassy and sent my note off to Admiral Beaumont. I added Guv Shang’s comment to the note and told the messenger – a trusted courier who has worked for the embassy for some time – that it was to go to Adm. Beaumont and no one else. I returned to my Cape Wrath residence and made some notes on the matter to follow up with the Admiral and Lady Twilight. I then went back to my cigar, stout, newspaper and music. As I was about to sit down I looked out the window and was amazed to see the battleship of. Cmdr. Constantine passing by in the other direction. Well, whatever he was doing in Winterfell, it didn’t take him long. Later, as I prepared for sleep, there was a knock at the back door. The ‘back’ door? I opened it with a slight hesitation. “Sorry to disturb, Ambassador.” It was the messenger. He had not delivered the message as the Admiral was unavailable. I hid any sign of disbelief from my face so as not to let on to the messenger how I was reacting inside to what he was saying. We finished talking and I closed the door. Unavailable to receive urgent naval intelligence from the Ambassador? This was one curious night. There was nothing to do at this point but go up to bed and get an early start in the morning. If I Won The Sweepstakes! It was just a little daydream. If I won the sweepstakes, what would I do? I used to think I would put together an expeditionary team and go out and find some new land somewhere and put up the flag. My own flag. Dankoland! But I was a landlord on the Mainland. Sure there are some differences but I talked myself into taking a “been there, done that” attitude. Too many headaches to ‘run’ a country these days. If I won the sweepstakes, first and foremost, I’d want to take it easy. Stay cool, low-key, no headaches, chill out. Oh, splurge a little. Buy two or three more places for homes. How many homes do you need actually? An extra parcel or two for the community, for a museum, a skating rink. A private office again maybe? Bring back my old guest house for friends? You have two pubs, why not a third? But after that, how much more can you handle? How much time would you have to hang out in these placers? Even if you won the sweepstakes? I must be getting older. Wiser? It used to be I had big plans for if I won the sweepstakes. I would start my own civilization! But now a simple pleasure is more appealing, a little plan. It is not less, it is more. Yes, I had to agree with myself, if I win the sweepstakes, I should do the little things that make me happy. The things that right now are just out of reach. That’s enough to fill a life right there. Excuse me, I must get to the tobacco shop before it closes. I shall purchase a sweepstakes ticket. Maybe two. The first line caused me to laugh out loud immediately. Such a gloriously hilarious outburst to break the silence of group chat. And that response! So funny. And so quick! How could it, indeed?!! Who, in their wildest dreams, would have thought there could be a problem with an idea like a Caramel-producing bear? I could not stop laughing out loud for several minutes. Governor Linden is selling land at 1L per sqm and there is land available at that price everywhere. It is the final end of the land market. If times are such that land is not gobbled up at that price, what does the future hold for this world? Is there a future here? I am asked this wherever I go now. I have toured other worlds recently and found that there is no exodus from this place to another. They are just leaving, period. “Is it that the time of the virtual world has passed?” asks one friend. Two other friends in two different conversations refer to the lack of writing about our lives here in the Steamlands as compared to times past. I am involved in an effort to revive that. But the conversations leave one wondering if it is another sign of a dying world. Is this world dying? The active population levels are back to where they were when I arrived four-plus years ago. I’m not leaving. Just wondering what the future brings. If there is one. I have had a busy social calendar of late which included the Oktoberfest Ball at Neufriestadt in the CDS and the Engineers Ball in Babbage (what a wonderful venue the new Piermont Landing is). 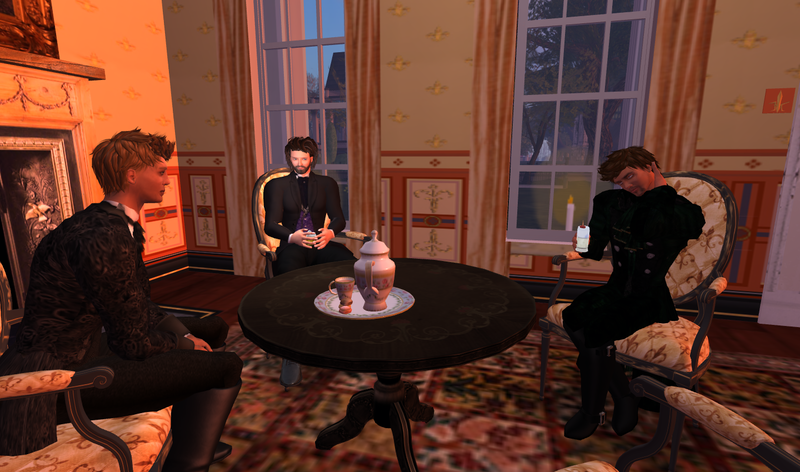 Ambassador Greymyst of New Toulouse had a house warming party at his new residence in Jardin. Mr. Greymyst has done a remarkable job in restoring a stately home there. I got the tour and then enjoyed interesting conversation with other guests at the afternoon gathering. But I suppose the highlight of recent days was the Boobie Ball which I attended one afternoon last week in Winterfell. It was the wrap-up fundraising event for BoobieThon, the Seneschelf’s favorite cause and an important one at that, fighting breast cancer. The dance was proceeding quite merrily when at one point some of the ladies offered the shirts off their backs for the cause. As certain milestones were met at the donation box, these dedicated ladies exposed their breasts to the cheers of the crowd. It was an eye-opener, I must say! But from what I’ve heard, the real show was in the evening! Rumors abound as to the state of dress – or lack thereof! – in which the participants were left as the evening neared its end. Today begins a week-long campaign to raise awareness of breast cancer. 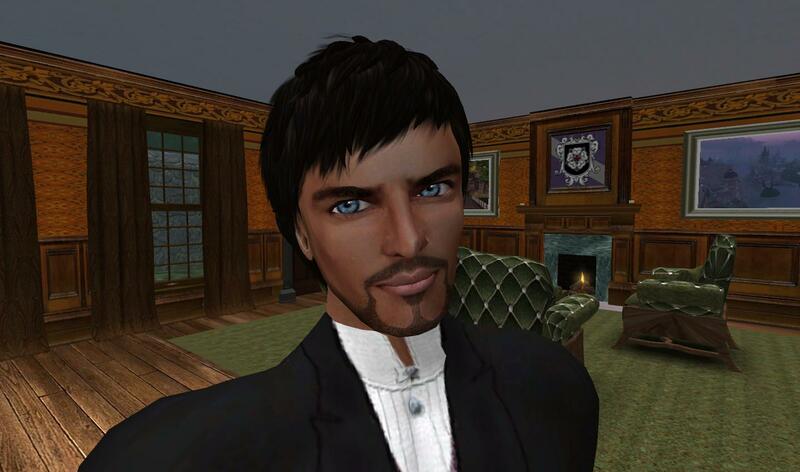 BoobieThon is an inworld fundraiser for the cause. Winterfell’s own Miss Serra is one of the organizers of the inworld campaign.